I just stuck a new thread over at No-grip in the 'Race' section advertising tomorrow nights race. Lets see if it generates any interest. Shame i didnt see this thread before today as a bit more notice may have got some further notice over there. Worth a punt. 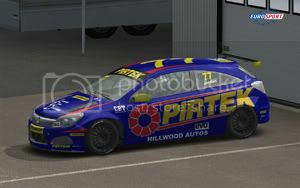 TC's are very popular in sim world elsewhere, so it must be our lack of advertising thats affecting turn out. Err yeah, my practise starts 20mins before i have to restart the server. Seen the post @ no grip and I couldn't refuse the chance to race Touring Cars, best sim racing around! Shame I can't make this event as I run my own events and its the final race of the current season at the same time as this event, I will try and make Donington, is it the National version? Welcome Albers. Hope we can see you here more often and on race track. Hi Albers, it always good to see new people signing up. Ctd's in race 1 and 2. Shame had fun, will try to sort it out again. Don't think i took anyone with me during my sudden departures, if I did I apologise. ctd ?...is that what you call armco these days? Had great close racing action as usual with the TC's at brands, always guaranteed ! I think i need to try another car next time here (or borrow RR's beemer setup ) as i feel like i am rinsing every last drop of grip and bhp out the thing but making no progress laptime wise Was able to do 1:35's offline but online mainly 1:36 in qually and 36/37's in race trim. Rear tyres take a hammering from oversteer but if i induce understeer in the setup its a pig to get around most of those fast rear of the circuit corners. ps....just got a message saying 'Steam has finished downloading Race07'...anyone else get that? is it a new patch? I got it as well. I can only assume it was another patch. Didn't see that but then I quit Steam each time the PC starts, however the game still runs It's some sort of voodoo magic.